From downing your essential, life-saving morning coffee to refueling in-between endless meeting and mountains of work, coffee mugs are our constant companions! 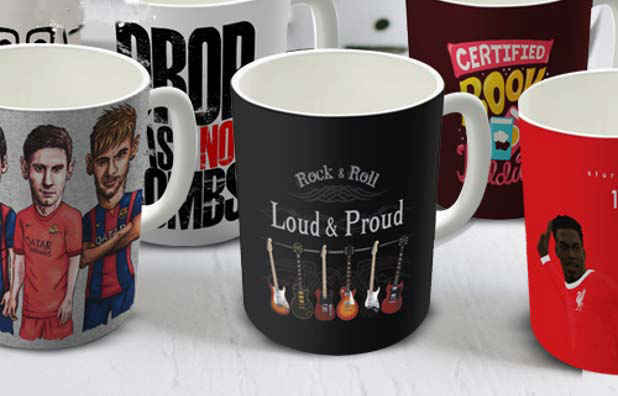 More a work of art now than just crockery, coffee mugs have now become an extension of our personality, and here&apos;s the best places in Delhi you can grab your quirky, funky and always fun coffee mug! 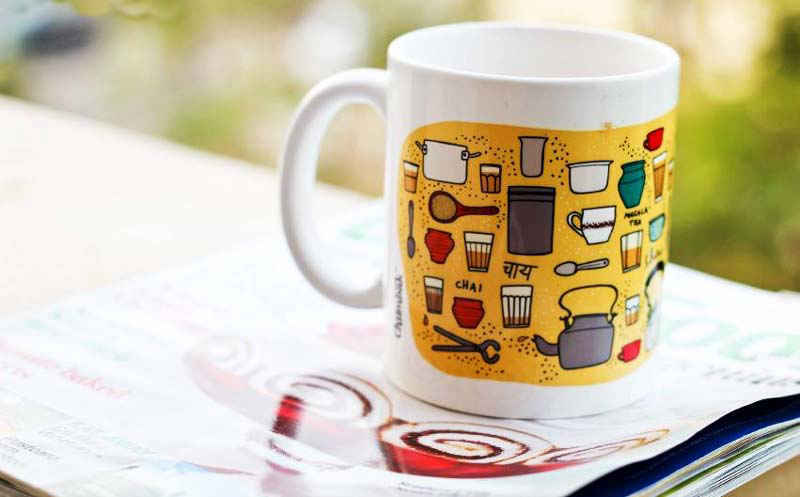 After having exploded all over Delhi as the resident king of all things quirky and unique, Chumbak released their fabulous line of awesome mugs, and we were floored! Their coffee mugs are, predictably, full of pops of colour, smeared with racy, desi and cute designs and make for great gifts, apart from brightening up your mornings - go check them out! Charmingly feminine, The Wishing Chair in Shahpur Jat promises to fulfill all your dreams- with a bit of pixie dust, shall we say? Fun, whimsical and romantic, the store sells truly treasurable coffee mugs that you&apos;ll love to laugh over! With a whole section devoted entirely to cups and mugs, they&apos;ve got ones with loopy handles, convenient coffee tumblers, and even cute little teacups (complete with saucers!). Go drop by their store or order online! Now we can happily say that Happily Unmarried&apos;s got the widest collection of the most awesome coffee mugs you&apos;ve ever seen! From cute, swaggerful &apos;mooches&apos; to Batman to &apos;Subah Ho Gayi Mamu&apos; ones, you&apos;ll fall in love with every one of &apos;em! The best part - they&apos;ll happily perk you right up in the morning and they&apos;re very reasonable too - go see for yourself, and order up. So where do you go get your hands on your Harry Potter and Game of Thrones-themed mugs? The Souled Store! Housing all manner of fun, famous TV and movie-themed merchandise, all you TV junkies will love their fab range of mugs! 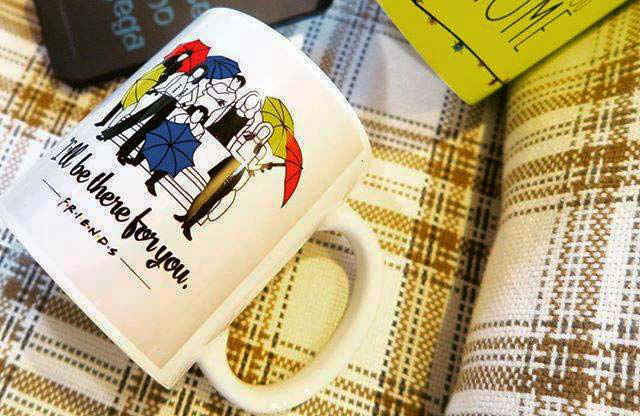 From Lord of The Rings to F.R.I.E.N.D.S to Star Trek, there&apos;s a mug for every one of you here! Go check it out - we&apos;ve already ordered ours. Priding themselves on being one of the best places to buy unique and cool gifts, Lazy Turtle is here to the rescue! 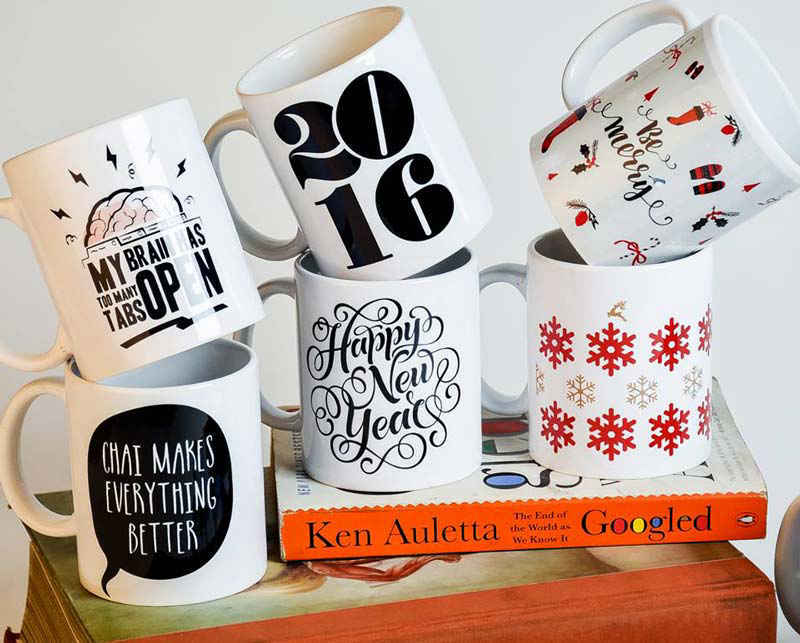 They&apos;re the ones stocking all the smartass one-liner mugs that your friends will simply laugh over. From thick white ones with the word &apos;Askhole&apos; sprayed on or the one shaped (and painted) like a beer mug, you&apos;ll definitely love these! 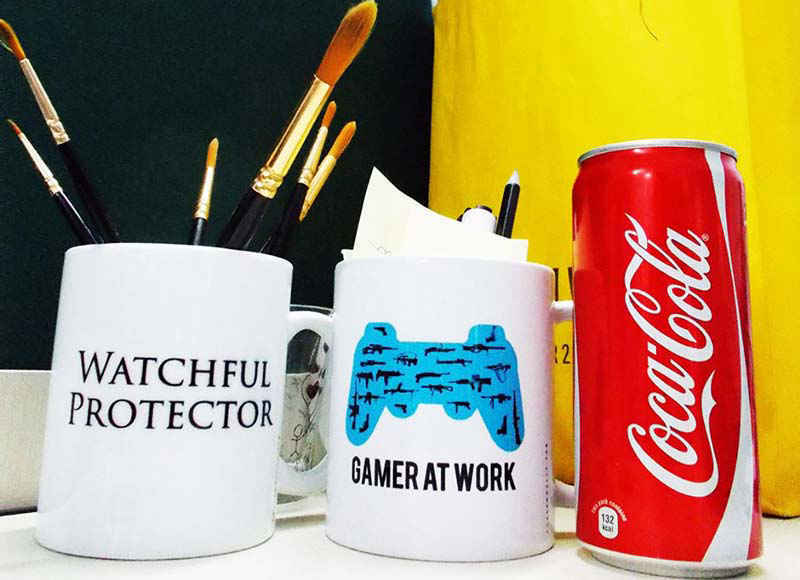 Plus, they&apos;ll even custom-make you your own mug with your choice of picture / one-liner. Now PosterGully is another quirk shop, and it is a massive (they even ship globally) online store that you can simply lose yourself in! 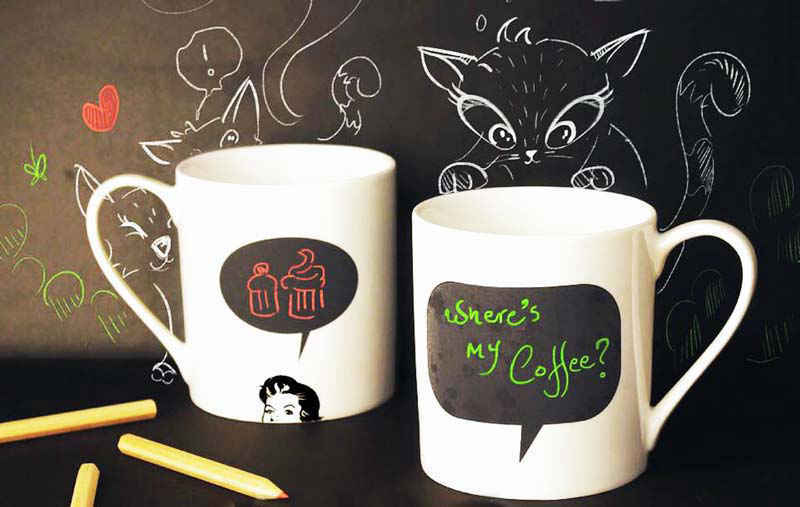 With designs ranging from cartoons to abstract art, jumping onto TV and movie-themed (think Darth Vader) to some which are just so darn cute (think cute wide-eyed owls) emblazoned on their thick mugs, PosterGully definitely makes it to our list! Just log on, be dazzled and we dare you to just choose one! P.S. - They&apos;ve even got an app you can download. 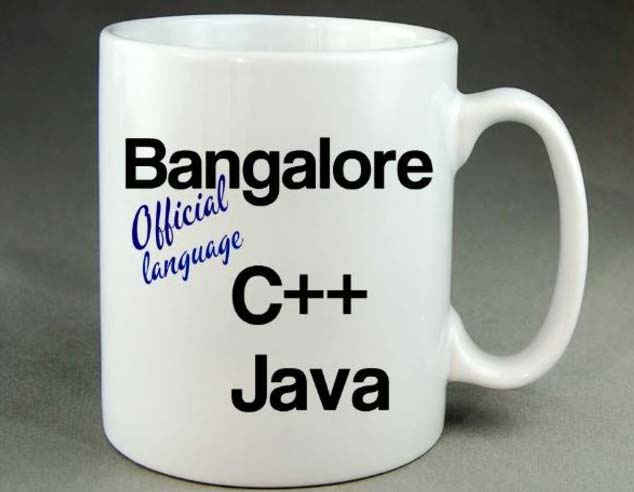 This one&apos;s for all y&apos;all who simply revere classy, edgy sophistication and would like your morning (and all-day really) coffee mugs to represent that! 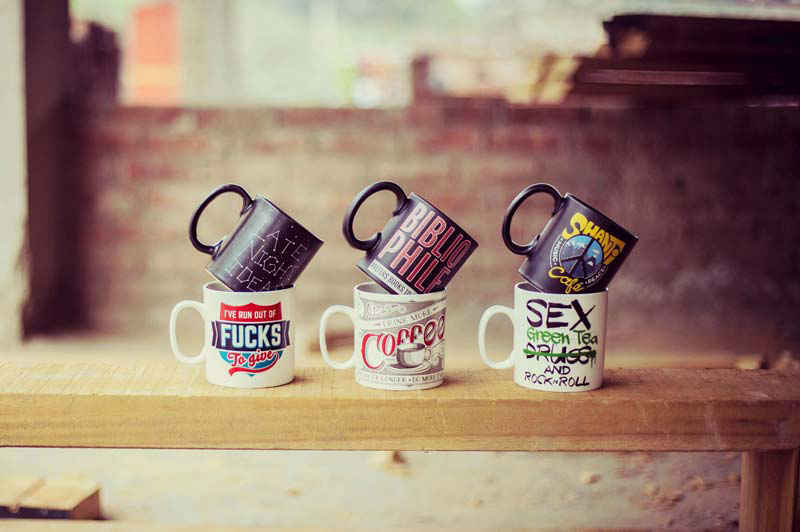 From their &apos;Hot Boy&apos; coffee mug to elegant quotes lettered in calligraphy, to old-world, funky adverts splayed onto cute mugs, The Fappy Store has nailed it. We fell in love with their &apos;Daffy Duck Face&apos; mug and know you will too - go order yours now!